High grade glass (heavy weight), not those cheap plastic ones. 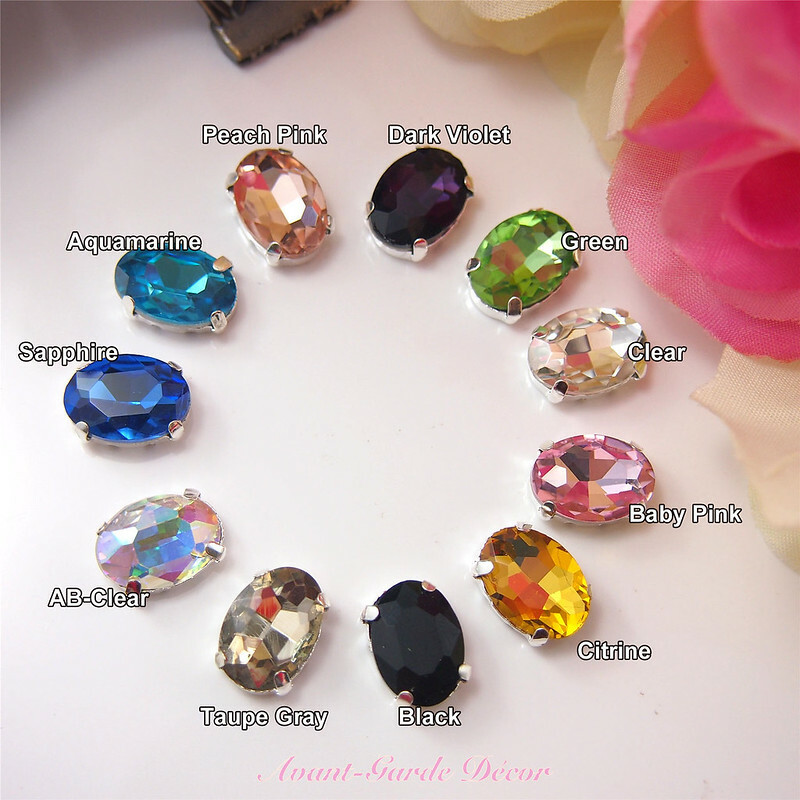 Each rhinestone has multiple cuts. Great for decorating fabrics, guarantee to make your dress stands out!! Silver flat back plates with four holes, for stitch on fabrics.